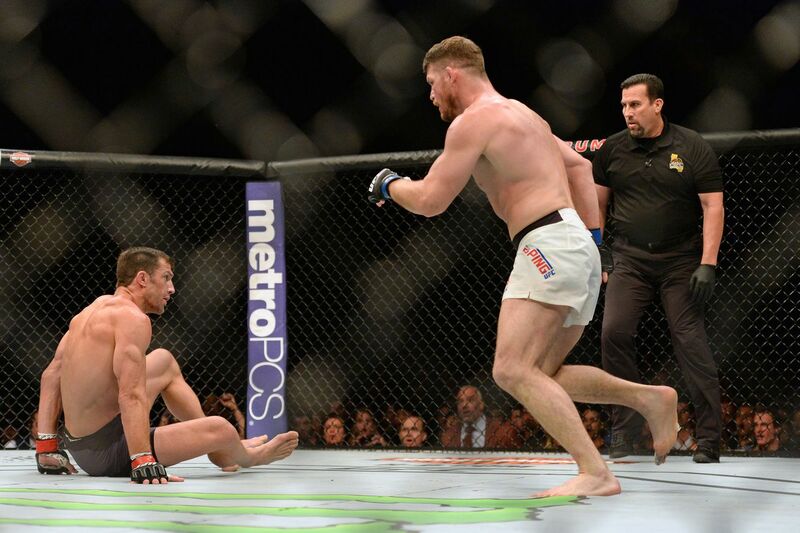 Michael Bisping shocked the mixed martial arts (MMA) world last night (Sat., June 4, 2016) at UFC 199 in Los Angeles, California by knocking out Luke Rockhold in the very first round to become the Middleweight champion of the world. See it all again here! For Luke, it’s a devastating end to his short-lived title reign against a man he had no trouble with in their first fight. So where did it all go wrong? To hear Luke tell UFC on FOX immediately after the loss, he simply underestimated “The Count” and got caught. As far as his calls for an immediate rematch, that is up in the air, though the promotion has plenty of options for Bisping.